All the details you need to know about attending an event or visiting the Amrit Yoga Institute. Amrit Yoga Institute may cancel a program at any time. If Amrit Yoga Institute cancels a program for which you are registered, you will receive a full refund. We will not refund travel costs. There is a non refundable $50 processing fee for each cancellation (moving a program from one program to another is considered a cancellation). You may cancel by contacting the main office during business hours Monday – Friday 9 – 5 EST at 352-685-3001 or by emailing admissions@amrityoga.org. $50 processing fee. All other payments may be refunded or held on account for three (3) years to use for future programs. If you do not use the monies held on account within three (3) years they will be given to the Amrit Yoga Institute as a tax deductible donation. You may request an official letter stating the amount of your donation. The greater of minimum deposit OR Program Costs (percentage of days completed and expenses paid that will be deducted) and are non-refundable (such as manuals, cards, teacher payments, event payments, etc.). This would be determined at the time of cancellation. Remaining monies beyond the administrative fee and program costs will be held on account for three (3) years to use for future programs. If it is not used within three (3) years the monies will be given to the Amrit Yoga Institute as a tax deductible donation. You may request a tax deductible donation to be made on your behalf to AYI. Please note that early departure also includes completing the immersion portion of a program and not returning for the certification portion if you have registered for both as one program. Cleanse programs have a slightly different cancellation policy due to the up front costs that we incur prior to the start of the program. $50 processing fee. Your deposit is refundable up to 3 weeks in advance. After that your deposit is non refundable. All other payments are refundable. Minimum deposit is $250. Deposit Requirements: Depending on the program, either $100 or 15% of final cost at checkout. All programs must be paid in full prior to your participation. Contact us if you need to discuss strategies for payment in multiple installments. Register online for each individual program and make your reservation by credit card. Alternatively, e-mail admissions@amrityoga.org or call 352-685-3001. Upon acceptance, you will receive an orientation packet including details about the curriculum, lodging, directions and other pertinent information. Enrollment in all programs is limited by accommodation space, so please register as soon as possible to guarantee your place in a program. 4. Complete the program. Once the program is complete including payment in full we will email you a copy of your Program CEU Certificate(s) to be submitted by you to the organization that you have selected to apply for CEU’s (Yoga Alliance, NCBTMB, or Florida Board of Massage Therapists). 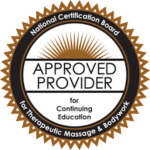 NCBTMB Continuing Education Units (CEU’s) : The Amrit Yoga Institute is approved by the National Certification Board for Therapeutic Massage and Bodywork (NCBTMB) as a continuing education Approved Provider #450048-00. Courses offering approved Continuing Education hours are for personal self-care only. Visit www.ncbtmb.org for more information on continuing education requirements. Florida Board of Massage Therapy CEU’s: The Amrit Yoga Institute offers continuing education through CEbroker.com (CE Provider #50-16444) for the following: Florida Board of Massage Therapy. Visit www.cebroker.com for more information on continuing education requirements. Yoga Alliance CEU’s: Certificate from AYI not required. 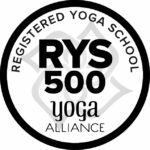 You may register on your Yoga Alliance Dashboard. The Amrit Yoga Institute is a Registered Yoga School (RYS 500) with the Yoga Alliance. Our Amrit Method of Yoga Level I Immersion and Teacher Training fulfills Yoga Alliance RYT-200 requirements. Amrit Method of Yoga Nidra Professional Training provides 90 contact hours towards certification as RYT-500. The remaining requirements can be fulfilled by taking Amrit Method of Yoga Level II Teacher Training, offered every other year. In every three year period, Yoga Alliance requires that RYT 200 and 500 accumulate 30 CEUs, 10 of which must be through direct contact with a qualified yoga instructor. Visit www.yogaalliance.org for more information on continuing education requirements. Up to $4,000 in financial assistance from MyCAA. Learn More: MyCAA Fact Sheet! Also see I AM Yoga® MyCAA Scholarship Program. How can you help spread the light? The Referral’s program must be completed and paid in full before the Referee Credit is issued. First account credits must be used for Unpaid Balances on Referee’s account. If no debt is owed, Referral Credits will be held on account for future AYI program use. Can’t be used toward Services or Merchandise, unless 100% of the revenue from the service or merchandise goes to AYI. Applies only to programs offered by AYI where AYI is doing the registration, known as “AYI programs”. For AYI programs where AYI brings in a guest or OTR teacher and/or venue, only 50% of program tuition can be paid with account credits. This means the Referee would need to pay for the remaining portion of the program. Applies only if Referee sent registrant to “First Program” at AYI and Referral (registrant) acknowledges referee at time of registration. Only one Referee per Referral. No expiration date on account credit. Can be transferred to friends and family. For more information about our Refer-a-Friend program, please call our main office at 352-685-3001. The Amrit Yoga Foundation, Inc. generates funding through private donors and program revenue to create a spiritually charged environment for rejuvenation and introspection, and to conduct further programming that delivers ancient spiritual approaches to address the underlying cause(s) of stress, trauma, anxiety, and all manner of physical, mental or emotional suffering. We provide these essential educational and therapeutic services to those most in need, in pursuit of our mission to contribute to a global community dedicated to embodying and transmitting the authentic wisdom and experience of yoga to further the evolution of humanity. The Amrit Yoga Foundation is a 2018 gold-level GuideStar participant, demonstrating our commitment to transparency. You can view our profile and download a full report of on here. Our operations are performed primarily by residential volunteers who are provided with in-depth spiritual and philosophical education in yoga and meditation as well as room, board, and nourishment. Our Volunteer Programs provide a unique opportunity to immerse yourself in holistic and yogic practices in order to transform your life, your relationship with others and with Self. Providing this opportunity to an individual volunteer costs approximately $4,320 annually. With 40 full-time volunteer resident staff positions available and a total yearly cost of nearly $175,000, the funds we generate from our programs and services are invested in continuing to provide this opportunity year after year to our volunteers and guests alike. We are delighted that, since 2001, hundreds of individuals have taken advantage of this program and engaged in this life-transforming experience! Additionally, in service of our mission we offer scholarships to those most in need to attend our educational programs and with the intention of empowering these individuals to change their lives and bring these unique lifestyle skills to support their communities. We are proud to have been able to award 247 individual partial or full scholarships to our programs in 2017, cumulatively over $55,000. We thank you all of our community and donors for their continued support and meaningful contribution to our mission and vision!